It’s Springtime, is your home safe? Spring Time is upon us once again! This seasonal change is also a reminder to make sure your home is safe. Both smoke detectors and carbon monoxide detectors are important to have in your home and can save lives, as long as they are operating properly. Daylight savings time during Spring and Fall are the perfect times to pay attention to these valuable, inexpensive, life-saving devices, so take a few minutes to check your safety alarms and make sure your home is safe. The National Fire Protection Association estimates that three of every five home fire deaths resulted in homes without working smoke detectors. Installing your smoke alarms correctly, and making sure they are in working order, is an important step to making your home and family safer from fire. Install smoke alarms inside each bedroom, outside each sleeping area and on every level of the home, including the basement. On levels without bedrooms, smoke detectors should be installed in the living room or family room and/or near the stairway to the upper level. Don’t install smoke alarms near windows, doors, or ducts where drafts might interfere with their operation. For best protection, interconnect all smoke alarms, so that when one smoke alarm sounds they all sound. Interconnection can be done using hard-wiring or wireless technology. Test smoke alarms regularly using the test button, and make sure everyone in the home understands the sound of the smoke alarm and knows how to respond. 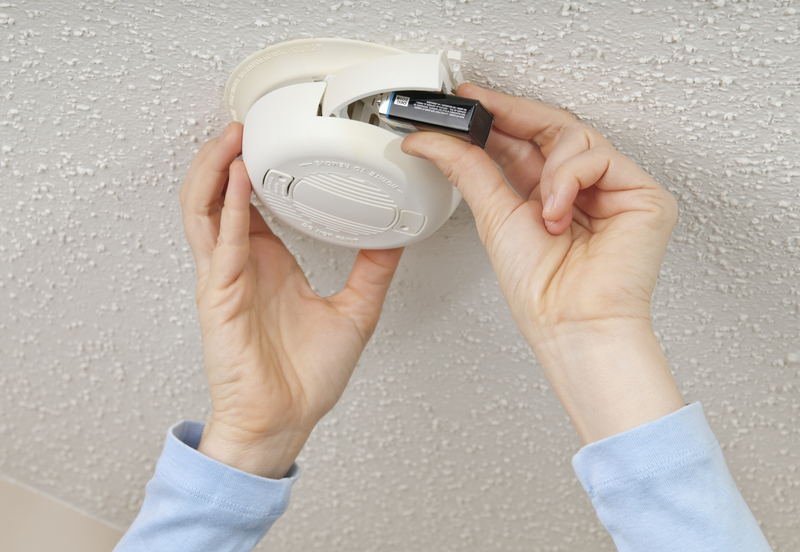 Smoke alarms with non-replaceable 10-year batteries are designed for use up to 10 years. If the alarm chirps, warning that the battery is low, replace the entire smoke alarm right away. Smoke alarms with any other type of battery need a new battery at least once a year, but it is a good practice to change the batteries during daylight savings time. If the alarm chirps, warning the battery is low, replace the battery right away. Always follow manufacturer’s instructions maintaining smoke alarms. For more information about smoke alarms and fire safety visit the National Fire Protection Association. Carbon Monoxide (CO) is a colorless, odorless and tasteless poison gas that can be fatal when inhaled. It is sometimes called the “silent killer.” In the home, common sources of CO include open flames, space heaters, water heaters, blocked chimneys or a car running inside a garage. Every home should have at least one carbon monoxide alarm. These detectors are inexpensive and simple to install, and can prevent CO poisoning. If your home has only one alarm, it should be installed in the hallway nearest bedrooms or in the main bedroom, however, ideally you should have an alarm installed on every level of the home and in sleeping areas. Test your CO alarms regularly, by pressing the test/reset button, follow manufacturer’s instructions for maintenance to ensure property operations. While CO detectors do not serve as smoke detectors and vice versa, dual smoke/CO detectors are also sold. Smoke detectors detect the smoke generated by flaming or smoldering fires, whereas CO detectors detect dangerous CO buildup caused, for example, by a malfunctioning fuel-burning device such as a gas stove. If you own a rental property, many states require you to have both carbon monoxide detectors in addition to smoke detectors installed in a rental property. 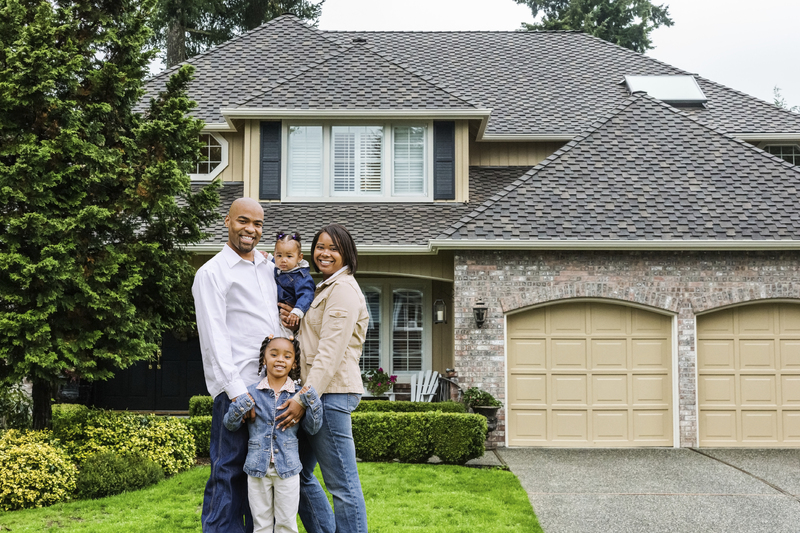 Ask your property manager about the local and state laws in your area to make sure your rental property is safe for residents.